Shortly before midday on March 16, 2016, Richard Whittemore opened the gate of a 20-acre field near Plaistow in West Sussex to find a scene of devastation. The babbling stream that flows through it had become a glutinous slick of black, toxic sludge. He knew exactly what it was. 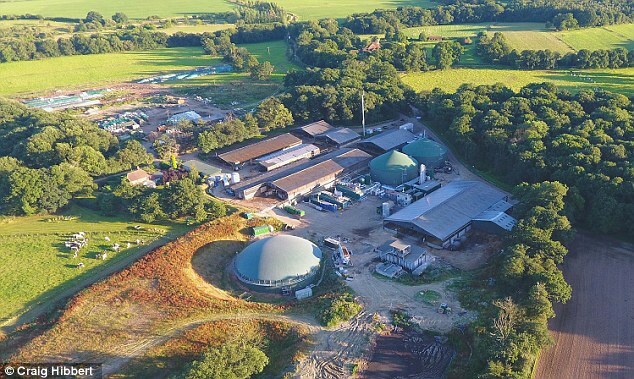 The same thing had happened nine months earlier: a massive chemical spillage from the huge ‘green’ energy plant at the neighbouring Crouchland Farm, subsidised each year with millions of pounds from taxpayers. What is it about Green waste. Money, sludge, subsidies, energy poverty, excessive subsidies, the list goes on and on. This is no more than environmentalism gone mad. All because they think CO2 is pollution, which it isn’t. This entry was posted in Climate, energy, Environment, media, Resources, science and tagged carbon emissions., climate change., energy, greenhouse gas emissions, mail online, nature, notalotofpeopleknowthat, politics, research, science and technology. Bookmark the permalink.